No, I haven’t dropped off the planet, or started a cult – just crazy-hectic here with repair work that frankly should have been finished by the end of June! Most of my work this last few months have been from private collections that aren’t for sharing, so sorry to those folks who are starving for bindery pics. Here’s a book I can show in the meantime that is publicpicapproved 😉 It was previously archived, but has gone the distance with the full repair. (single all along over sunken linen cord). These pics show the full linen support (as this is a working volume which will need to be very strong), one of the many Japanese tissue repairs under cloth, and the meeting of the edge tissue repairs with the new linen spine. 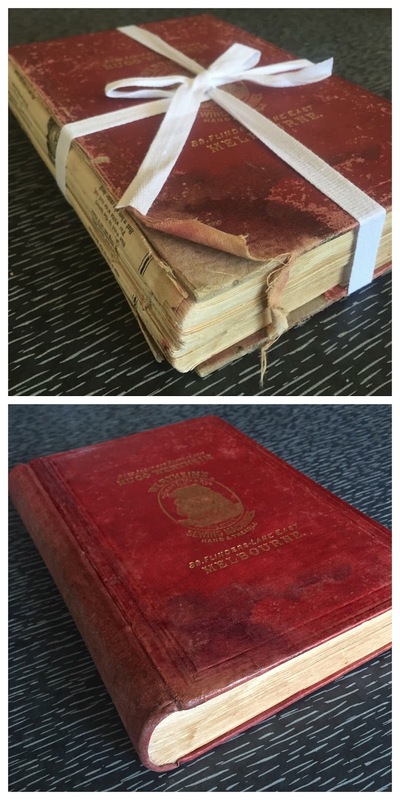 ..and here is the final repaired volume – soooo much fun colour-matching the new spine cloth to show the effects of fade, stain, water and oil damage that have formed part of the rich history of this book. 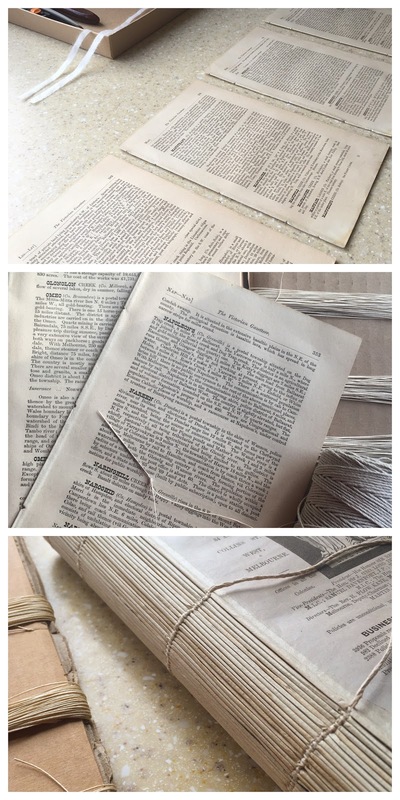 The original spine labels are very fragile and I decided it not worth the risk of damage to put it back onto the book, so it is instead enclosed in mylar and will be protected in the box with the book. 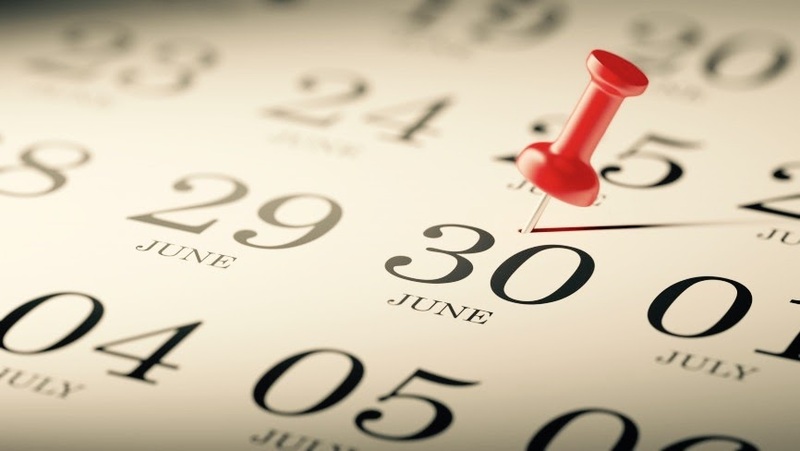 I usually take July and August off and do things like tax, ordering, paperwork, study, research…. 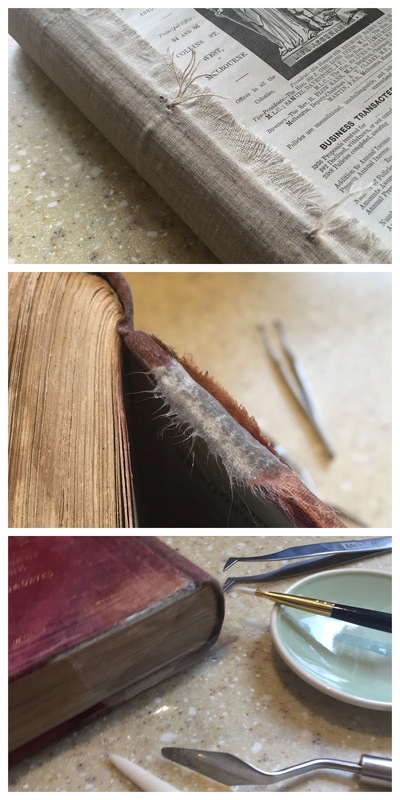 (with the bindery way too cold and humidity above 60%, old delicate books don’t make happy patients) but this year I am working through the consequences of a very silly decision LAST year – to continue making repair bookings ahead into the following year. So, I have had to ‘bring my work home’ and continue repair work into the off season inside the main house where it is warm and dry (much to the chagrin of my family – love you guys….) to catch up. 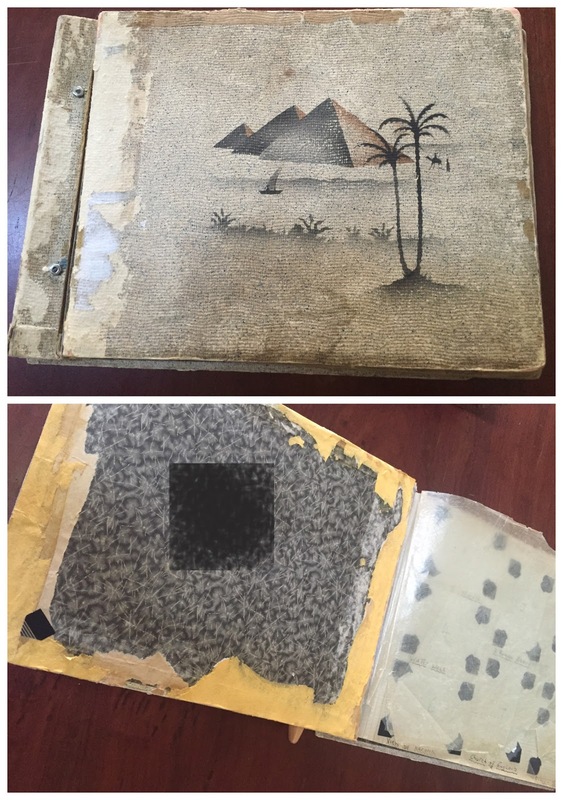 Next batch on the bench includes this little beauty (identifying personal details blurred for privacy) – an important family album that has had rough treatment over years – PST (sticky tape) of all varieties, the original endpapers glued over with envelopes (using a mystery glue combo), rough repairs with acidic cloth tape, old glassine sticking to the photos, and the original laced enclosure replaced with nuts and bolts. Yes, Nuts. and. Bolts. So, it’s off the compu-thingy and back to the bench. Previous PostMARBLING CLASS IN GORDON, VICTORIA.Next PostNuts and Bolts – the repair of a precious wartime album.